Finding “One” bed bug- What does it really mean? Understandably even the site of a bed bug would send most of us into a tizzy and for a good reason. The stigmas attached to bed bugs are enough to make people throw out perfectly good furniture, discard clothes by the bagful and spend thousands of dollars on a variety of treatment regimens. The bottom line is no one wants bed bugs. The big question? Is finding a one-bed bug the sign of a much more massive infestation or is it merely just an isolated bed bug? The pest control technician’s recommendation will depend on where the bug(s) are found. You picked it up from a public place: bus, library, movie theatre, doctors office…? They are coming from an adjoining suite next to you. In public places including schools, public transportation or the waiting room of a doctor’s office, seeing a single bed bug is no cause for panic. Bed bugs in these locations are likely brought in via the inside of a backpack or article of clothing. Bed bugs found in these types of locations do not have access to regular food sources — humans resting for an extended period — and as a result, will have a harder time establishing themselves. Despite their prolific reproductive capabilities bed bugs do not always increase in population, especially in small numbers where a fertilized female may not be present. Regardless of whether it’s a commercial property or a household the pest control technician needs to determine the likelihood if the bed bug was just “dropped off” or if there is a more significant infestation of breeding adult bed bugs lurking nearby. A thorough inspection must be done. If a small number of bed bugs are found in a single-family home technicians stand a better chance of locating the source of the infestation because potential “hot spot” areas (i.e., where people rest for extended periods of time like beds or couches) are more transparent, and the method of introduction was likely a piece of luggage or furniture, a sleeping bag or article of clothing. In apartments and condominiums identifying the source of the infestation is a little trickier because the source of the bed bugs could be the apartment next door, above, below or across the hall. As a result, the scope of the inspection and any treatment protocols must be more comprehensive and include several or all units in the building and not just one unit. Take a deep breath. One bed bug in a home is not always a sign that a significant infestation is present. If you found the one-bed bug, killed it and can’t find any more after a thorough search, wait for a few days…bed bugs don’t take time off; if there are more, they will try and fed every day if possible. Be Vigilant! After you’ve found and killed the single bed bug, keep looking! Inspect every night and morning. You’re looking for an apple seed in size, shape, and color. 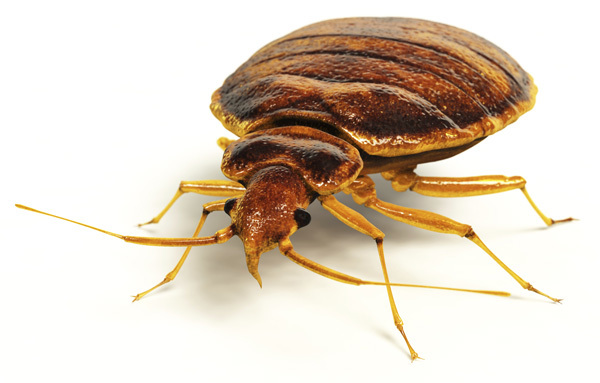 Commercial properties such as schools, public transportation, office buildings – are more prone to “transient” bed bug sightings. No male and female present, or no pregnant female-no bed bugs being able to multiply. A comprehensive inspection must be done to determine if a more significant infestation is present and what treatment options are required. A pest control professional’s response to finding a small number of bed bugs should be measured and focus on solutions that are appropriate and reflect the level of the problem.